Yes, yes, at the time, when we visited Hong Kong Disneyland, we still had only one tiny expat on our hands, the second one waiting until our relocation to Moscow to make her appearance. You might think that having just one small kid to travel with made it easier – yes in one way, but no in another. Now we have experience. We learnt from our mistakes, we worked on coming up with all kinds of tips and tricks and nowadays we set off on a journey as an army unit – all planned and ready at a moment’s notice. Planning a journey to Disneyland with small kids is already made much easier, of course, by the fact that you don’t need to think of how to entertain them, but there’re still some areas left to be covered. Our daughter was about 2,5 years old and, while going on the same trip with an older child would already eliminate some of these points, we made some extra ‘notes to self’ after this adventure. My husband was flying to HK directly from his business trip to Taiwan and I was flying solo with our daughter from Shanghai. The flight was pretty short, just a couple of hours. I booked it around lunch time, hoping that after the hype of taking off would already subside and she eats lunch, she could then peacefully take a nap for the rest of the journey. While booking tickets online, I ticked off an option about ordering special ‘kids meal’ for my little one. Some yogurts and fruits, I presumed. How ‘happy’ was I to find out that this special ‘kids menu’ consisted of a sweet chocolaty sponge cake, sweet drink full of E’s and (brace yourself!) chocolates! My completely non-special meal being way healthier than that, I tried to make it more appealing and ‘exciting’ for my two year old, at the same time discretely smuggling whatever I could from the chocolate induced tray placed in front of her by a helpful flight attendant. My plan worked only to some extend, my daughter still managing to digest some of those sugary delights, making sure that the quiet nap I was so looking forward to did not happen until hours later, when we were already in the hotel. This was the lesson that taught me to avoid those ‘special’ meals and always pack something sensible by myself. In the end, even your usual ‘adult’ menu is always a suitable option. We decided to book the Disneyland Hotel for its proximity to the main attraction. Of course, other hotels may offer transfers or easy access to public transport taking you to Disneyland Park. However, when your tiny child gets all tired and starts acting up – the swifter your escape to the calm hotel room, the safer your nervous system. We also had some issues with feeding our daughter. No, I’m not saying that there’s a lack of available options – on the contrary, there’s a great number of various restaurants and cafes available in the hotel and across the park. But, I don’t know about your kids, mine was quite a challenge to feed at the tender age of two. I was lucky that I packed some of her favourites in our suitcase (not talking about meatballs here), as those really helped us to get through the long weekend. Finally, on our last day in Disneyland, when we actually planned to go to HK itself to have a look at the laser show, I daughter got sick – fever and all. Treating her and getting her to feel at least ok by the next day was very stressful, as I only packed some fever medicine and nothing else. Try finding your favourite throat sprays or herbal teas, when you’re traveling. Every time we go away now, I think, I’ve got enough medicine to cover the usual suspects for a couple of days straight. In this month’s Family Affair series (coming up on the 4th Monday of the month, 27th April), my sister will continue talking about Hong Kong and tell you about their visit to HK Disneyland, proving that it can be fun for adults as well. For those, who are not exactly Disney fans, there’s always an option of going to Macao, a playground for adults. Previous It’s Orthodox Easter today – Christ is Risen! Yes, that was very surprising that such a great place had problems with food variety. The kid’s meal was a surprise. I didn’t know that. I didn’t either, I suppose it can depend on an airline, but I haven’t risked it afterwards, getting a standard meal. We’re flying out end of this week, and now I’m itching with curiosity about kid’s meals. :D I might attempt to find out with our airline. Love the photo of your daughter on the toadstools. I’d have been pretty annoyed about the kid’s meal too. You’d think the flight attendants would want sleepier toddlers too! Hi! I found you through WordPress and wanted to stop and say hi! 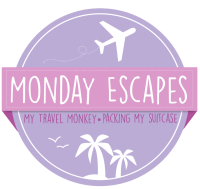 We are a traveling/expat family and I am always happy to find others doing the same thing. I love Disney and their parks. We have been to all of them besides Disney HK and Disney World. We live in Phuket, Thailand currently so Disney HK is on our short list for this year. Our daughter is 4 in June and we took her to Disney Paris for her 2nd birthday. I am trying to twist my husbands arm to take her to HK for her 4th. :) Crossing my fingers now haha. Great post! Have a great day! That would be excellent! Thanks! The photo of your daughter on the toadstools is so adorable. We find ourselves bringing meals everywhere. It’s like the bag people but it helps. Cute pictures! Your description of the kids meal on the plane made me laugh. Yes, kids would eat that, but it’s not exactly a good thing to give them!